The college process can be daunting and difficult to navigate. At Lonestar, we have an entire coaching staff and dedicated College Placement Director, Steve Allison, committed to helping our players choose the right school for them. In addition to being involved and highly successful for numerous years at all levels of soccer coaching - including the U.S. Soccer’s Youth National Team player development system where he has had the opportunity to coach or mentor numerous state, regional and national championship teams - Steve has tutored numerous players who themselves have won national youth, collegiate, Major League Soccer and W-League championships. Many of these players earning spots on our men’s and women’s national-team rosters and represented the US in World Cups competitions. 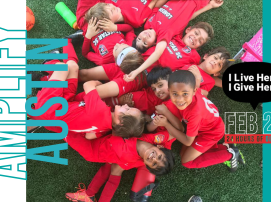 Using his Collegiate Coaching, University Admission Counselor, Athletic Director and Executive Director of Coaching experiences he has helped place 2,000+ male and female student-athletes into collegiate soccer programs at every level of play. He has a wealth of experience and connectivity to the college placement process that benefits all players and their families wishing to play collegiate soccer! 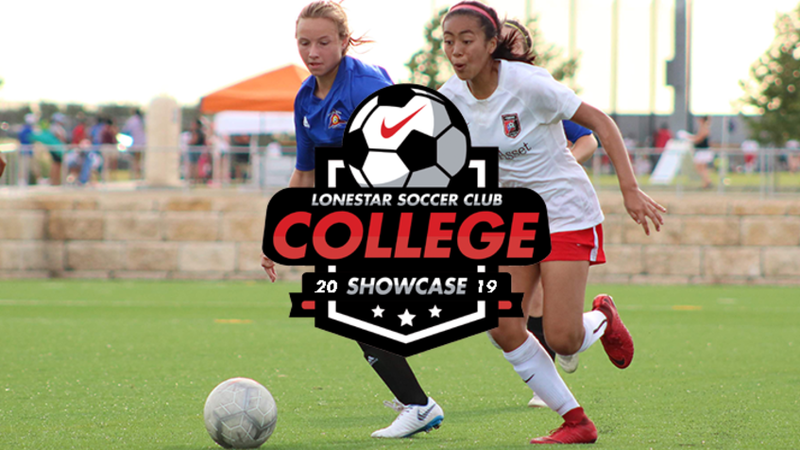 Check out the list of university & college scouts attending the upcoming Girls College #LonestarShowcase19! • It’s a huge mistake to choose a school because of someone else’s recommendation. What do you want (academics, social environment and athletic environment)? Does the coach want you? • NCAA doesn’t give you any leniency for ignorance. You really need to do your homework and the best place to start is to learn the NCAA rules. If you are uncertain of something you can always contact the NCAA for more information. • Coaching is a full-time job. There is a difference between contacting, showing interest, and the other side, which is being a little obnoxious and overbearing. • Once you’re a freshman in high school you can be recruited. Everything you do from then on has an effect on you being eligible. What you’re doing at freshman year and what you’re doing at senior year has an effect. • If you contact a coach more than once a week you’re starting to overbear. • Every 10 days, maybe twice a month contacting. If you really want to have a relationship with the coach, then have a relationship with the coach. Make personal contact (don’t make mom or dad call). Follow up on the season; ask about experiences with the team. Doing this shows real interest. • An introduction letter is very important and not a reproduced one. Make this letter something personal. • Make sure you introduce yourself even if it is through a letter. Seeing a face makes you easier to identify and is more personal. You have to remember the coaches will identify the players they want. • One of the best ways to see a player play is video. Some coaches want videos showing your best moments, and some want full games. • Think about giving a little bit of a teaser (highlights and adding on a game at the end). Important thing is when you get into the game portion of the video you identify yourself. (I’m on the Blue team, center midfield and I’m wearing number 8). Identify key moments in the video to see— this helps coaches who may have time restraints. • Go to your coaches and ask them to send most recent games to a school and to put in a recommendation letter. High school coaches want to help you the best they can and reach your dream. • With YouTube, you can put it in an easier format for a coach. It’s easier for the coach to handle an e-mail link over receiving a huge collection of videos. • Get the right people to write your recommendation letters. Think about what these people are going to say about you. • Players forget this. A lot of people think that just because they’re athletes someone will bend the rules or give them a break. The NCAA is very concerned about student-athletes, academics and graduation rates. Today there is more pressure on coaches to makes sure their student athletes graduate from colleges. Why would a coach recruit a player that has bad grades when it could affect the coaches’ number of scholarships or job stability? • Coaches are looking for students who have a sincere concern about their academics and they want people who are doing well on their testing (ACT and SAT). • Soccer will get you to the door but you won’t get in if you don’t have academics. Would you come to this university if you didn’t make the soccer team? If the answer is no, don’t go to that university. If you would go to the university even if you didn’t make the team, this could be the right university for you. Enjoy this time, investigate and prepare yourself to make the right decision. It will be one of the biggest decisions of your life, but remember it's a process! For more information to help navigate the recruiting process see here, or contact Steve Allison for a one-on-one meeting.